Knott’s Berry Farm offers special Labor Day weekend entertainment and family fun for a variety of ages and interests, including a spectacular Labor Day Sunday fireworks show. On September 6, the Park’s skyline will glow with a brilliant fireworks show at 10pm – TIP: the best view in the Park is in Boardwalk and Calico Square. Guests can also take a journey on the spectacular new 4D interactive ride, Voyage to the Iron Reef; stroll through the Park’s Old West Ghost Town or hang with the PEANUTS gang in a fresh Camp Snoopy, the land of high sierra fun! 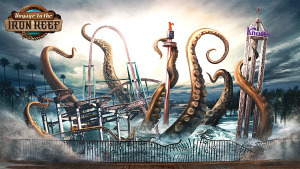 One of the most successful film franchises of all time will soon become one of Universal Studios Florida’s most action-packed ride experiences. 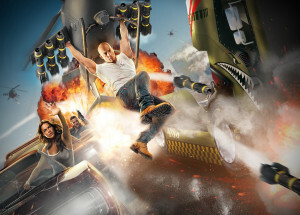 Universal Orlando Resort has announced that Fast & Furious: Supercharged will join its incredible lineup of attractions in 2017 – continuing the unprecedented growth of the destination. Led by film stars Vin Diesel (Dom Toretto), Dwayne Johnson (Hobbs), Michelle Rodriguez (Letty) and Tyrese Gibson (Roman), guests will feel like part of the “Fast family” as they embark on a thrilling new Fast & Furious adventure. They will be immersed in the underground racing world made famous in the films, explore the headquarters of Toretto and his team and even get to check out some of the supercharged cars they’ve seen on the big screen. Then, guests will board specially-designed vehicles and take off on an adrenaline-pumping ride with their favorite stars from the films. 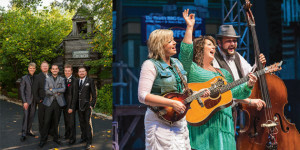 The season is off to a mixed-bag start, with the announcement of some really exciting new haunts, and at the same time, others that we really love fading away this year. Sadly, another home haunt – a phenomenon here in Los Angeles, honestly – Big Worm’s Sherwood Scare will not be making an appearance for the 2015 season. What’s taken place with Sherwood Scare is honestly, very similar to what we wrote about a week ago regarding The House at Haunted Hill going on hiatus this year. Jacob Chase, the creator and lead creative force behind Sherwood Scare is an accomplished writer that is involved with the film industry here in Los Angeles. The good news is, he’s been made a potentially career-changing offer than he simply cannot pass up; the down-side is, it conflicts with putting on the haunt this season. As the back to school buzz and fall festivities approach, The Vault of Souls has launched a YouTube channel and released a sneak peek video into their cavernous basement to give anxious guests a glimpse of the sinister souls waiting to terrorize them. The Vault of Souls is an all-new Halloween concept that crosses theatrical performance art with a non-traditional haunt experience, wrapped in a paranormal 1920s theme. Guests are encouraged to explore the cavernous crypt without abandon to seek clues and insights into The Vault’s dark and sordid history. In addition to the bone-chilling basement show, The Vault of Souls features three nightclub experiences ranging from modern elegance in The Vault, a raucous 1920s Gin Joint and a subdued spiritualist bistro featuring psychics and tarot readers that will offer guests insights to the future.